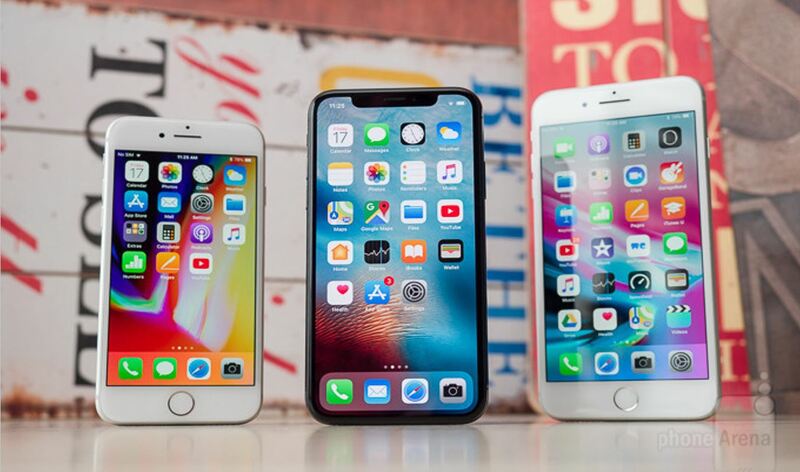 It is the end of 2018 and if you are planning to buy an iPhone then you are in the right place. Here, I’ll review Top #7 iPhones ever. Keep it in mind that the best word does not mean the latest one, rather, it will be a combination of numerous factors that include but not limited to performance, software, hardware, specification, price, etc to name a few. The iPhone 8 Plus is in a weird position. It’s only a 1-year-old phone, but there’s not much incentive to buy it. The device has some solid features — wireless charging, Apple’s year-old A11 chip, and a top-of-the-line camera — but it’s certainly not a bargain, especially compared to the iPhone XR, which you can get for only $50 more. The iPhone XS Max is an absolutely beautiful device, but it’s cursed by two things: its giant size and its giant price tag. The screen is the biggest on any iPhone, ever, that’s not always a great thing. It’s impossible to use one-handed — even with reachability enabled. The iPhone XS Max is a powerful iPhone. It sports Apple’s new A12 Bionic chip, an incredible camera, a beautiful OLED display, and a flashy new gold color. The phone starts at $1,099 but can cost as much as $1,449 if you max out the capacity. The iPhone 8 has a slight advantage over the iPhone 8 Plus: its size. The iPhone 8 is a standard-sized smartphone, and that combined with its all-glass body means it feels great in your hand — though the screen is certainly smaller than the iPhone XS, XR or 8 Plus. The one other downside of the iPhone 8 versus the iPhone 8 Plus is the lack of a dual-lens camera, but for $100 less, I think most people can make do without. The iPhone 8 has all the same features as its big sister: fast charging, wireless charging, water resistance, a great camera, the year-old A11 bionic chip, and 64 GB of starting storage space. The iPhone 7 is more than two years old now, but it remains one of the most sensible — and cheapest — iPhones you can buy. While the iPhone 8 is newer and slightly better looking (and the iPhone XR and XS are in a league of their own), the iPhone 7 has nearly all the features most people need. It has nearly the exact same camera as the iPhone 8, the same size screen, and is also water resistant. There are only three major things that differentiate the iPhone 7 from the iPhone 8, besides design: the iPhone 7 doesn’t have wireless charging, it has less starting storage at 32 GB, and it runs Apple’s 2-year-old A10 chip. The iPhone 7 comes in four color options versus the iPhone 8’s three, weighs less due to its aluminum back, and costs $100 less. The iPhone XS is an update to last year’s iPhone X, which Apple discontinued in 2018. The only reason the iPhone XS isn’t No. 1 is because of its price — it can cost as much as $1,349 if you max out the capacity. The XS is an incredible device, despite not being a major overhaul to last year’s model. It has a big, gorgeous OLED display, a great camera, and comes in three luxurious colors. Plus, it has futuristic features like wireless charging, water resistance, and Face ID. The iPhone 7 Plus has it all. Except for wireless charging and a slightly slower processor, the iPhone 7 Plus is almost the exact same phone internally as the iPhone 8 Plus — and it costs $100 less. In fact, unless you prefer the iPhone 8’s all-glass design, there are very few reasons to buy it over the iPhone 7 Plus. It has Apple’s dual-lens camera, which means it’s capable of portrait mode. It has a big, 5.5-inch screen, it’s waterproof, and it has almost the exact same battery life as the iPhone 8 Plus. The iPhone 7 Plus may be a 2-year-old phone, but you’ll get an incredible deal for your money. When it comes to the iPhone XR, it’s no contest. The phone was released in October, and it has all of the 2018 features you’d want: wireless charging, an excellent camera (that only requires one lens), water resistance, Face ID, and a big display. Plus, it comes in six fun colors: red, coral, yellow, blue, white, and black. The biggest selling point? It costs $250 less than the iPhone XS.